This year seems like a perfect time to become an active member of the astonishing online casino Kaboo. 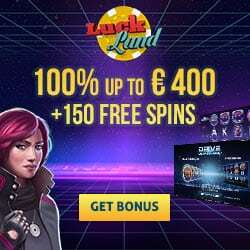 The website has gathered all the necessary resources already and offers now various unique promotions that are likely to bring the players everything they require to push the limits of gaming even further. Apart from the special deals, Kaboo casino is also going to host a tournament session that will be carried out on the fantastic slot game called Nirvana. If you become really interested in the following campaign, then you simply must check out the individual deals that might have that something to make this time all the more worth it. The online casino will also see some new game premieres in the near future as well, including “Witch Picking” and “Wild Orient”. There will be free spins in abundance, plus any the new players from Finland, Norway and Sweden will receive the extra 10 Free Spins after registration. 26th – 28th February (Friday – Sunday): The Nirvana Tournament is still on and brings a chance to win a share of €10,000 that will be split among the top 50 players. That and an additional raffle where 50 players can acquire an extra amount of €20, all while playing “Nirvana” and getting into the bonus rounds level in this game. 29th February (Monday): Those who deposit on this day, get free spins on the next one. Free spins will be credited for the “Golden Fish Tank”, whereas UK players get their free spins for “Drive: Multiplier Mayhem”. 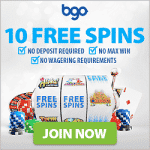 The more you deposit – the more free spins you get, it is as simple as that. 2nd March (Wednesday): If you deposit on this day, you will certainly get some free spins on the following one. This time, the free spins will be available for “Rage to Riches”. As always, more free spins come with a higher amount deposited.